Pools can be a great way to kick back and relax with friends and family, however without regular maintenance and supervision of those in the pool, your beloved backyard feature could become an extremely hazardous area. At Cozy’s Pool and Spa Care, part of our job is keeping your pool hygienic and safe, so here are our top five tips for ensuring that your pool stays safe all year round. As part of Queensland pool safety legislation, all pool gates must open outward from the pool, be self-closing and self-latching and be at least 1.2m high with the latch more than 1.5m off the ground. Fences should be no more than 100mm from the ground and any vertical gaps cannot be more than 100mm apart. Any objects near the pool fence that can be used to climb over it should be removed and stored out of view of young children. 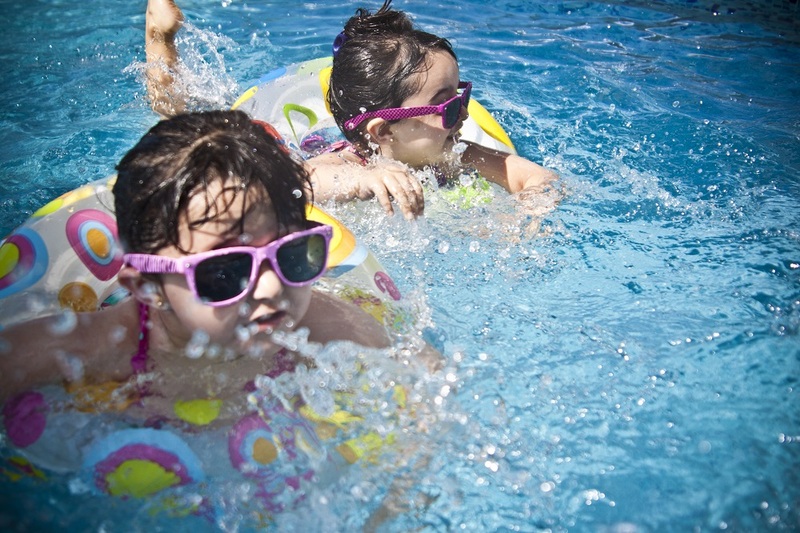 While children are at the highest risk of death or serious injury because of pool related accidents, you should regularly check on everyone in and around your pool, with constant supervision of any children (children under the age of 5 should be within arm distance at all times). Always ensure that an adult is present and never leave an older child responsible for a younger one. As a pool owner, it is essential to undergo basic first aid training so that you know exactly what to do in case of an emergency, for example, someone slips and hits their head on the edge of the pool or needs to be resuscitated. Enrolling your child in swimming lessons is one of the most effective ways of ensuring their safety in the water, however, you should always maintain constant supervision both in and around the pool. When not properly taken care of, your pool can quickly become home to parasites, which can cause gastrointestinal, skin, ear and eye infections among others. The most common RWI (recreational water illness) is diarrhea, caused by parasitic micro-organisms like cryptosporidiosis (crypto) and giardiasis. Ensuring that you call a professional to regularly test and clean your pool is the most effective method for reducing the risk of these parasites infecting your pool. Another reliable prevention method is to always follow good hygiene when in a pool. Cozy’s Pool and Spa Care can provide regular pool maintenance services all year round, including testing and analysing the water, checking the cleaner as well as cleaning the filter, pump and chlorinator. Scheduling maintenance for your pool on a regular basis helps ensure that it is safe for your friends and family, so get in touch today. For more information on Queensland’s pool safety laws, click here to visit the government website.